Featuring an adjustable back and wheels makes this chaise comfortable as well as versatile. Choose from our in stock Sunbrella Fabrics or special order to match your decor. 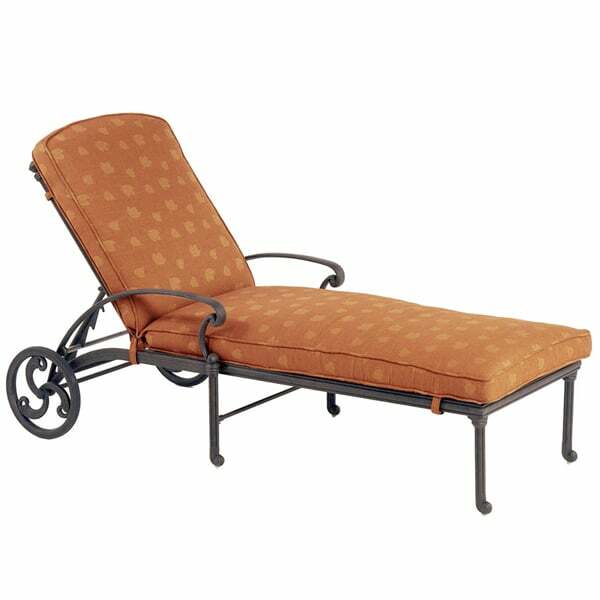 If you are looking for great quality and value in a cast aluminum chaise lounge, you can't go wrong with this top selling item. Looks great, built to last and makes a perfect day laying by the pool even better. This item requires freight delivery. This shipping method uses a box truck or a full size semi - truck and product can be delivered curbside, into a garage, or into a room of choice based on the level of service requested. A representative will call to schedule your delivery which will require a signature upon receipt. Most delivery times within the Continental U.S. range from 5-7 days on in stock merchandise. Special order patio furniture ranges from 2-6 weeks depending on manufacturer.